Swindon is fortunate to be hosting the exhibition ‘Hide and Seek’ by Eileen Cooper who is one of the most influential figurative painters of her generation. The beautiful and lyrical drawing ‘Separate Ways’ is one of the favourite pieces in the Art Gallery collection. 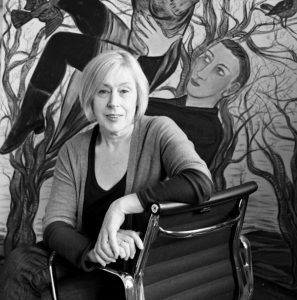 In 2001 Eileen Cooper was made the first woman Keeper of the Royal Academy. Eileen is a popular and engaging speaker who will talk with direct reference to the exhibition on show. 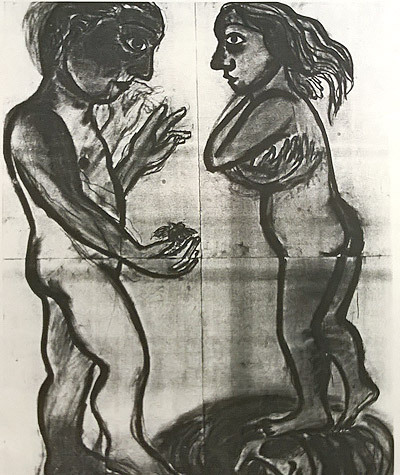 A remarkable collection of unique works on paper spanning almost 40 years, and complemented from a selection of hand-picked drawings from the Swindon Collection by Eileen Cooper RA.